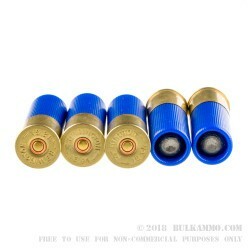 This Remington Slugger load with its well recognizable blue hull is purpose built for law enforcement applications. 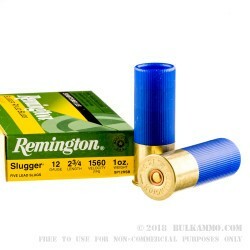 Out of Remington's test barrel, this rifled slug exits the muzzle at 1,560 feet per second. This slug is intentionally built just barely oversized to better seal the gas behind the slug as it speeds down the muzzle. 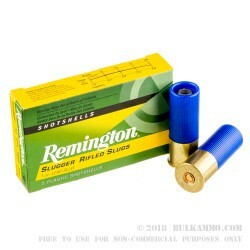 For added accuracy, Remington includes a high density polymer disk under the slug helping to produce a perfectly aligned exit from the barrel to result in exceptional accuracy. 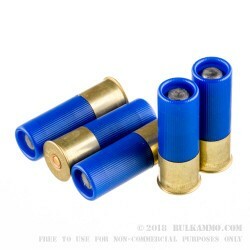 Whether you're looking for a slug for personal defense or you want a highly accurate slug for deer hunting, Remington's blue hull rifled slug ammo is an excellent choice.